Tony Carnie’s article published in the Mercury on Wednesday, 30 September 2015, publicly reports for the first time Ezemvelo KZN Wildlife’s position and reasons for strongly opposing the proposed Fuleni open cast coal mine on the boundary of the iMfolozi wilderness area. 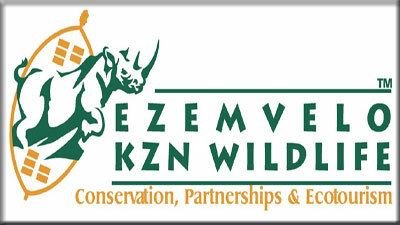 Ezemvelo is the agency responsible for maintaining biodiversity in KZN in protected areas but also outside our parks. Available evidence shows the mine will destroy the first wilderness area in Africa and cause irreversible damage within the internationally famous Hluhluwe-iMfolozi Park (HiP). Ezemvelo’s acting CEO, Dr David Mabunda, calls on Ibutho Coal to withdraw its application, stating that this mine should not even be considered. Today, Friday, 2 October 2015, the views of two highly respected senior Ezemvelo officials were published in the Zululand Observor. They reinforce the views of Dr Mabunda. Oscar Mthimkhulu and Jabulani Ngubane are committed conservationists who work closely with neighbouring communities. They are aware of the long term sustainable benefits derivable from a healthy environment and that these far outweigh the few local jobs from polluting coal mines. "it is impossible to create a new iMfolozi wilderness elsewhere, as suggested by Ibutho Coal." Support for the Save Our iMfolozi Wilderness campaign is growing with the recent formation of the iMfolozi Community & Wilderness Alliance (ICWA), comprising eight powerful environmental and social justice NGOs in KZN. We are united in applauding the stand taken by Ezemvelo in clarifying what is at stake if the Fuleni open cast coal mine goes ahead. Eco- and cultural tourism in KZN is growing. It is sustainable and our province’s biggest income generator. We cannot afford to lose the historic and irreplaceable iMfolozi wilderness area, with its links to King Shaka’s royal hunting ground and the legendary conservationist Ian Player, to a polluting coal mine. As Dr Mabunda makes clear, with all this history it is impossible to create a new iMfolozi wilderness elsewhere, as suggested by Ibutho Coal. Affected communities have not been adequately consulted or informed about the negative impacts of the coal mine, making Ezemvelo’s concern about significant social and civil unrest on its boundaries fully justified. Ocilwane residents were relocated in the 1960s and at the time were promised they would never again be moved. This village lies at the heart of the coal field and significant numbers of people will inevitably be subjected to relocation “either forcibly or through coercion”. Nearby Ukhukhu and Somkhele communities have lived with coal mines for years and are actively encouraging the Fuleni communities to say no to the Fuleni mine. They know from bitter experience that a mine shatters lives and livelihoods and rips communities apart. ICWA fully support Ezemvelo in its opposition to the Fuleni open cast coal mine. We also support opposing voices in the Fuleni communities who are working together with us. We call on others to join us so our voices are heard to ensure this travesty of justice does not take place. We have a duty and responsibility as civil society to protect the iMfolozi wilderness and HiP for the well-being of current and future generations. THIS COAL MINE SERVES NO-ONE! Is absolutely nowhere safe from mining?